On the last weekend in September, seventy women from New Hampshire to Maryland gathered together for training, peer learning, and encouragement at the fourth annual New England Coffee Break retreat. The women attending the retreat included not only English speakers but also twenty-two Spanish speakers. 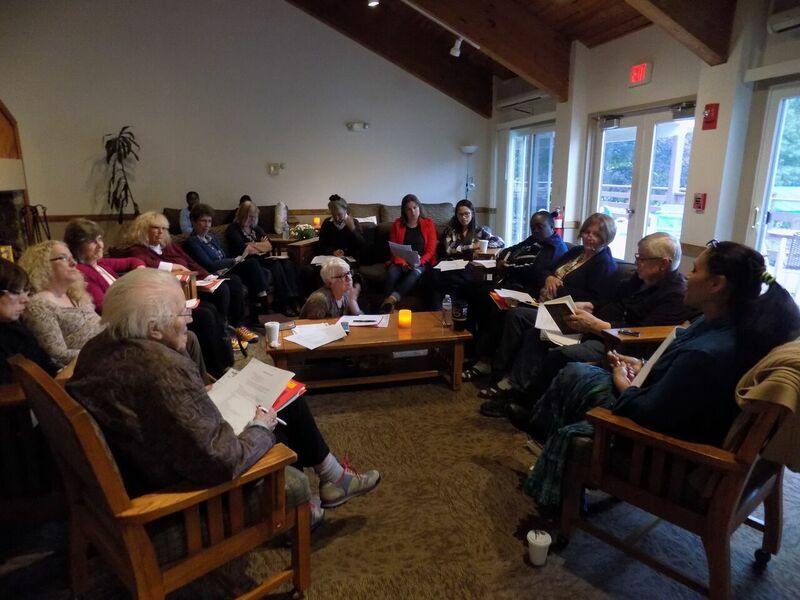 Diane Averill, who led the planning team, had a vision for including different ethnicities and languages, and the retreat truly had a wonderful multi-cultural atmosphere for sharing and learning. Attendees participated in various break-out sessions and small group Bible studies, as well as main sessions led by Drew Angus and Bill Johnson. One break-out, led by Brent Averill, focused on how the Coffee Break method of Bible discovery is uniquely suited to reach Muslims. This session was especially appreciated, as was a session led by Drew Angus on stress, worry, and the courage that comes through a relationship with God. Diane Averill led a Coffee Break training breakout to equip attendees for leading their Coffee Break groups back home. In addition to learning, the women enjoyed worshiping and praying together. Many attendees volunteered to pray with others, and a prayer room was available where anyone could leave prayer requests and know that these requests would be lifted up. A highlight of the retreat was when the Spanish-speaking attendees taught everyone a song in Spanish, ending in everyone going around the room to embrace each other. The theme of the retreat was forgiveness, and many of the women spoke of individuals in their lives whom they needed to forgive. A meaningful experience for attendees was participating in a time of confession on Saturday evening. The lights were turned off, and as confessions of sin were read out, women flashed their cell phone lights or flashlights if they wanted to join in confessing that particular sin. Plans are already in the works for a fifth annual Northeast retreat next fall. There will also be a Discover Your Bible retreat in Florida this coming February, which will be open to both women and men. If you’d like to learn more about these upcoming retreats, email [email protected] or [email protected], or check for event updates on the Coffee Break Network page. Connect with other leaders and ideas on the Coffee Break Groups Facebook page or Coffee Break Network page, or learn more by visiting the Coffee Break website.